At Autism Initiatives our expectation is that people with autism can learn and develop and we support this process every single day. We create unique services for people to enable them to have ownership of their own lives and future. 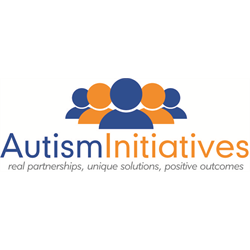 Autism Initiatives Scotland provides a range of person centred services throughout Scotland. The charity provides services to people who are 16 years old and over and encompasses supported living and outreach services. Based between our supported living services in Longnewton and our Scottish Borders outreach service in Galashiels, the Team Leader will support the Area Manager in ensuring that all staff are managed and supervised effectively and that the highest level of autism specific practice and standards are maintained. You will also manage the staff to deliver support plans to our service users and work with healthcare professionals to ensure support plans are to the highest quality. The Team Leader will have responsibility for the day-to-day management of the service, therefore, you will be able to demonstrate excellent social care project management skills and have a working knowledge of current legislation relating to the social care sector. The successful applicant will be required to register with the Protection of Vulnerable Groups (PVG) Scheme and the Scottish Social Services Council (SSSC). The Number 6 One Stop Shop provides free social opportunities and 1-1 advice and support on a range of issues to autistic adults living in the Lothians and Scottish Borders. The OSS Coordinators will assist the Number 6 One Stop Shop Manager to develop and deliver a wide range of needs-led services by effective liaison with a range of external agencies, professionals, autistic adults, parents and carers. This will include responsibility for at least one of the following areas: employment; housing; benefits; health and wellbeing; activity coordination. The OSS Coordinators will also play a role in delivering training to external services and Autism Initiatives staff. We are looking for people with a broad understanding of autism and the particular issues faced by those recently diagnosed as autistic, with the ability to develop positive working relationships and deliver workshops and training.